I can’t remember the last time I’ve a movie as straightforward as Inception. The idea at the heart of the film is simple: no one person (or group of people) can reproduce someone else’s thought process; we will always know what ideas were born in our brains, and which ones weren’t. It’s a tribute to the idea that every waking thought we have is ours and ours alone, and it would be impossible, or simply very difficult, for an outside force to plant just one in our brain without us knowing, even if our brains are full of millions and millions of ideas. In fact, it’s because of those millions of ideas that it’s impossible—how can anyone know what it’s really like to be you, and how you would think? 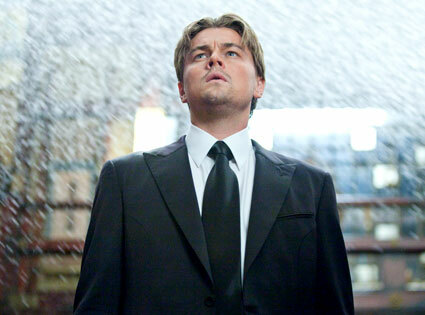 For all of Inception’s plot twists, I held to the idea and I was stewarded to the end, and everything held up. Actually, after the last shot, I thought the idea was reinforced to the point of certainty, and then I started thinking back to the other “totems” characters had used to ground themselves in the “real” world—Why a dice? Why a pawn?—and then I realized everything in the movie was in its right place, layers firmly stacked upon layers, in the service of an unshakable idea, like a massive pyramid resting upon its tip, unable to be knocked over. BDD totally nailed it — if you liked it, don’t read any negative reviews, because they will piss you off. I liked it, read negative reviews, and they pissed me off. Best movie of the year.